Oakleaf’s tree surgery service balances care and maintenance, beauty and safety. We offer a full range of tree solutions like advice and guidance, emergency tree surgery, tree maintenance and tree removal. 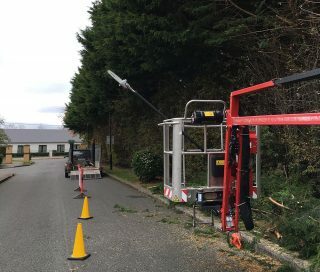 We combine the latest tree surgery techniques and equipment with the knowledge and care of our trained tree surgeons to complete a range of services from light pruning to the most difficult removals. Our aim will be to maintain healthy and beautiful trees but when removal is necessary, we can achieve this with minimum disruption to you. Our methods are safe and efficient and we will bring the project from first consultation to final debris removal. We are committed to high safety standards and are fully insured. Oakleaf’s Tree Services range from simple advice through to emergency tree surgery. Our service combines the latest techniques and tools to provide our clients with a bespoke tree service. The aim of our tree surgery is to ensure you have healthy, beautiful trees that enhance and complement your garden design. Our tree surgeons are professionally trained in emergency tree surgery, tree maintenance and tree removal. Our tree service takes care of everything from initial consultation to advice, guidance, maintenance and removal of any tree debris. So whether you need dead and dangerous trees removed or wish to maintain healthy ones, you can trust our tree care service. Crown reduction and reshaping: tree crowns are trimmed and reshaped for safety or beauty. Crown thinning: tree crowns are thinned out for safety in high winds. Crown raising: lower branches are removed to allow for height clearance. Hedge and shrub maintenance: large scrubs or hedges are trimmed and maintained. Green waste removal / wood chipping: garden waste is taken away or chipped on site. Stump removal / stump grinding: tree stumps are moved to clear space. Trees sourced, supplied and planted: advice on new tree planting and all trees are sourced and supplied. Professional advice: expert advice on tree planting, pruning and grounds maintenance. 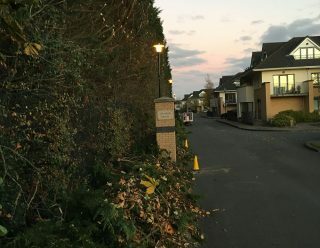 Leylandii trees and hedges can add both a functional and aesthetic value to your outdoor space.They can serve as barriers to wind and noise, increase security and improve privacy as well as offer a pleasing finish to your garden. As part of our tree surgery service we can help you manage your Leylandii trees. Often they can grow out of control, thus taking away the initial benefits of planting. We can solve that problem by trimming and shaping the trees. Alternatively, we can cut the trees into a hedge and offer a maintenance service to keep it in shape. Contact Oakleaf Landscape gardeners Dublin and Meath today. Error: Error validating access token: Session has expired on Thursday, 21-Mar-19 09:21:06 PDT. The current time is Saturday, 20-Apr-19 09:38:29 PDT.